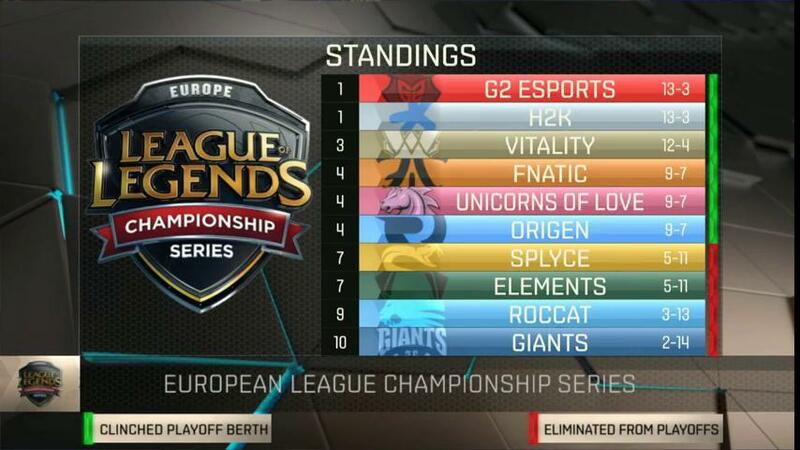 It's the final week of the Regular Season for the 2016 EU LCS Spring Split, we're back with week 9! Here are the standings as we move into Week 9, the final week of the season. Playoff spots are locked!